REBATES UP TO $1,700* OR FINANCE FOR AS LOW AS $116 A MONTH** with the purchase of qualifying equipment! The perfect system should adapt to your life to deliver the ultimate in energy savings and precision temperature control. We agree. And that’s why we’re proud to be a leading provider of innovative, home heating and cooling systems. 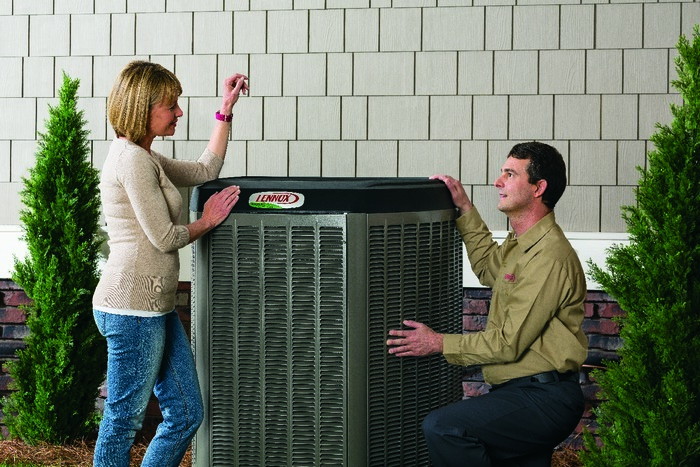 Our high-efficiency, Lennox® residential air conditioners, furnaces and HVAC systems help maximize comfort while reducing utility costs. 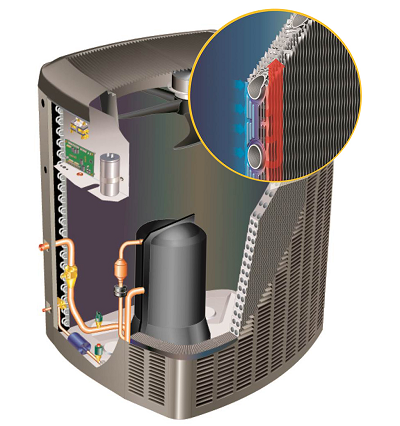 Plus, our Lennox air filters, humidifiers and dehumidifiers help create healthier and cleaner indoor environments. Call now and save with REBATES UP TO $1,700* OR FINANCE FOR AS LOW AS $116 A MONTH** with the purchase of qualifying equipment! 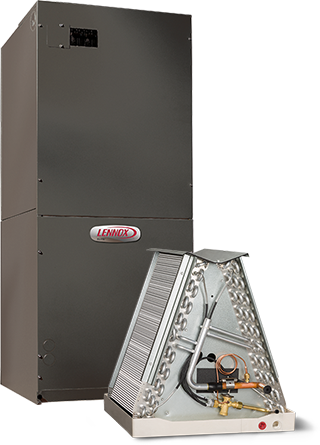 We can help you find the best heating and cooling system for your home and install it so that it provides years of efficient, reliable comfort. *Certain Restricitons Apply - Contact Jimmy's AC & Refrigeration at 772-562-8353 for more information and deatails on available promotions and rates. 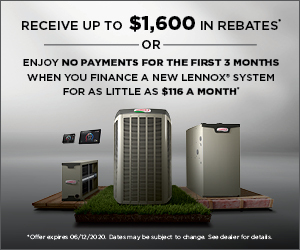 *Rebate requires purchase of qualifying items and submission of a completed rebate form (with proof of purchase) to www.lennoxconsumerrebates.com no later than July 5, 2019. Rebate is paid in the form of a Lennox Visa prepaid debit card. Card is subject to terms and conditions found or referenced on card and expires 12 months after issuance. Conditions apply. See www.Lennox.com for complete terms and conditions. **Offer available March 11, 2019 to June 14, 2019. Offer based on a retail price of $10,000. Requires purchase of qualifying system. Financing available to well-qualifed buyers on approved credit. No down payment required 6.99% APR for 120 months, with equal monthly payments of $116 a month. Normal late charges apply. Cannot be combined with any other promotional offer. Minimum loan amount $3,000. Maximum loan amount $40,000. You may prepay your account at any time without penalty. Financing is subject to credit requirements and satisfactory completion of finance documents. Any finance terms advertised are estimates only. See Truth in Lending disclosures available from lender for more information. †Efficiency claim based on comparison of air conditioning and heat pump products' SEER as published in AHRI (January 2015). Actual system combination efficiency may vary; consult AHRI for exact system efficiencies. Precision claim based on the cooling capacity range of the XC/XP25-036 units as compared to equivalent-sized competitive variable capacity compressor units. Fresh paint, new carpets, new furniture, and even common household cleaners generate what are called Volatile Organic Compounds (VOCs). While you may not notice these VOCs, your HVAC system will. VOCs can create organic acids when combined with moisture producing a harmful environment for some coils, which could eventually lead to corrosion. In coastal areas where salt air is common, galvanic corrosion of aluminum fins on outdoor coils can gradually compromise cooling capacity. We’ve engineered the Lennox Quantum coils to reduce the effects of corrosion in these tough environments, helping maintain your unit’s cooling capacity over a longer period of time. Jimmy's A/C & Refrigeration Inc.